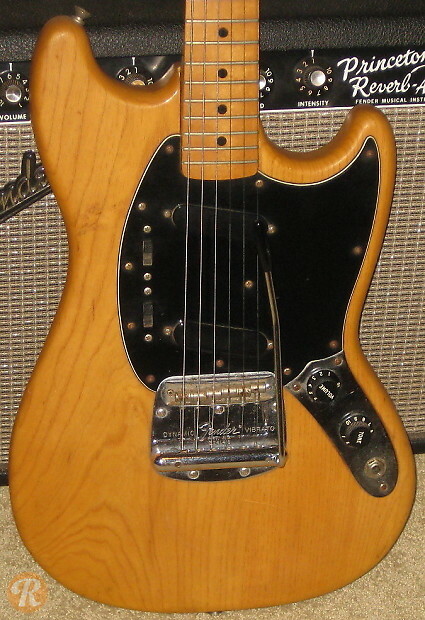 Introduced just before the CBS takeover of Fender, the Mustang was part of a redesign of Fender's line of student level guitars which included the Duo-sonic and Musicmaster. The Mustang offered somewhat more sophisticated electronics than earlier student guitars and also featured a 24-inch scale length. In its earliest era, the Mustang was available in a shorter 22 1/2-inch scale length, but these guitars are very uncommon. Since being discontinued in 1982, the Mustang has been reissued a number of times, and has found some popularity among alternative and indie rock players.